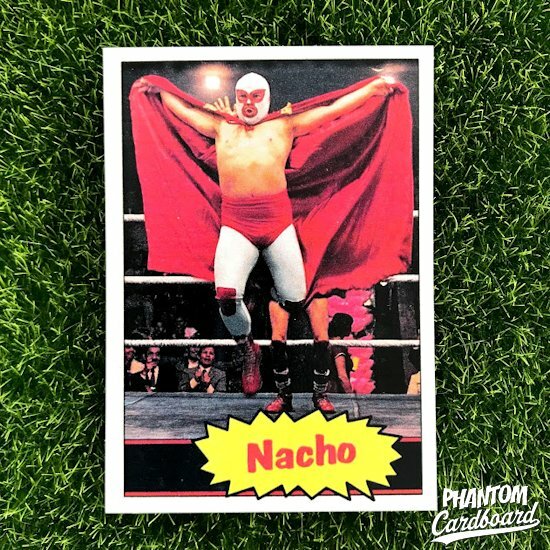 The following couple of cards were suggested by two followers to the Phantom Cardboard Instagram account. The first is Nacho from Nacho Libre. This was pretty straight forward. Find a cool photo and plug it into the 1985 Topps WWF set I've been using for fictional movie wrestlers. I'm a fan of Jack Black and I thought Nacho Libre was decently funny. It was asked if I've ever done cards from the 1979 movie Breaking Away. The answer at the time was no as I'd never even seen the movie. That was rectified in short time with another follower to the page hooking me with with his extra copy of the movie on VHS. This card is done in the style of the 1979 Topps baseball set. I opted to freestyle a team card rather than make a card four each of the four Cutters. 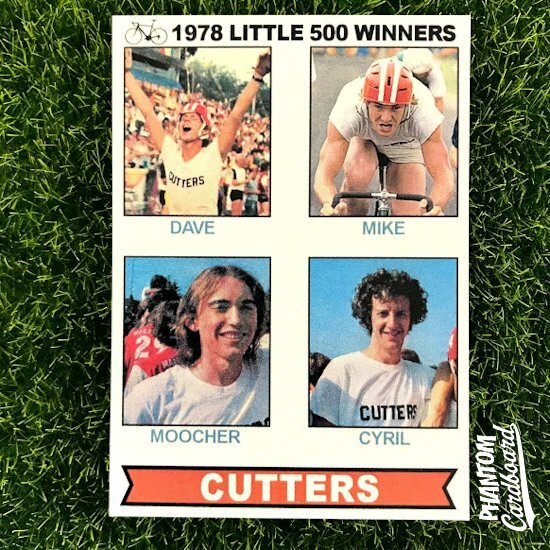 The movie was released in 1979 with the Little 500 race set in 1978. I know that from seeing a promotional picture of the Dave Stoller character holding a trophy with the year engraved on it.